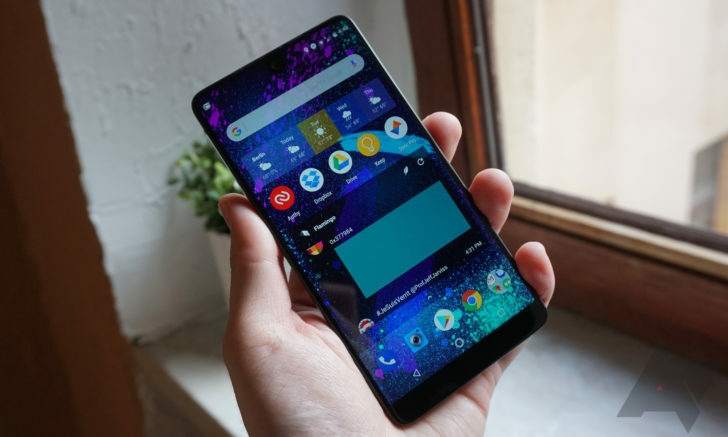 Essential's software on the Essential Phone had some issues at launch, but the team has rolled out multiple updates since then to resolve bugs and add new features. 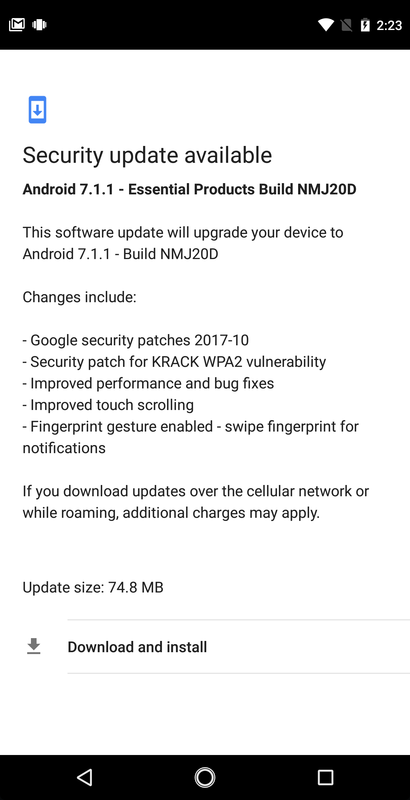 Today, the company is sending out a new build of Nougat with a fix for that troublesome KRACK vulnerability. It includes a few new things, too. 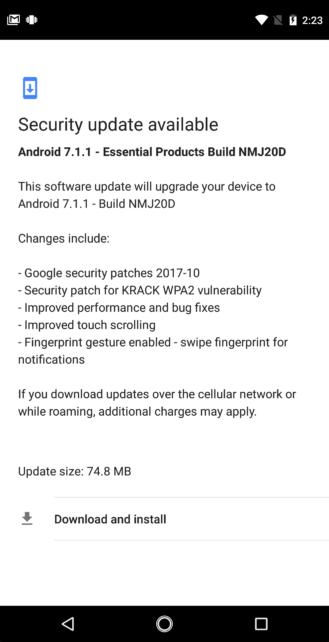 We're rolling out a software update (build NMJ20D) that includes improved touch scrolling, patch for KRACK vulnerability, and more. Here's what you get in the latest update. The update is only 74MB, and Essential uses A-B updates. It'll install in the background and restarting boots up the new build. In addition to patching the WPA2 KRACK vulnerability, this update adds gestures to the fingerprint sensor. Like Pixel devices, you can swipe to open or close the notification shade. The OTA should be available on all devices if you hit the update menu. Although, Sprint needs to approve it for devices on its network.